One of the best ways to build online business is with a webinar... where you present your story online with an online audience. The catch is the technology. How do you produce webinars easily and inexpensively? If you've done webinars, you've probably used one of two solutions. (1) GoToWebinar, which works pretty well but has complications and is expensive, or (2) a solution that uses Google Hangouts. Hangouts are pretty cool, but the interactivity is complicated by the way Hangouts on Air delay the broadcast of the live webinar by 30 to 60 seconds. Hangouts webinars are also complicated somewhat by the "filmstrip" presentation of presenters across the bottom of the screen that may "squeeze" the size of a screen share program. Other solutions have been really expensive. Are webinars easy to do? The dirty little secret no one will ever tell you is that webinars are really hard work. You have to be there on time, crank up your energy, and talk for 60-90 minutes as if you're on too much coffee. It's exhausting! Then, repeating that two or three times a week... every week... you get tired of it. Yes you get great results, but it is hard work. As a result, many people use replays or "evergreen" webinars instead of doing them all live. They get one done well, then repeat the recording of that one webinar again and again. When you combine an evergreen webinar with a chat script from the live production and you have a "hybrid" webinar. Others see the interaction and q&a - and get to see what others are asking which makes it almost like the real thing. It's ethical too as long as you tell people you're doing a live encore. This new platform will handle both, your live webinars and evergreen hybrid webinars. Yes, now there's a better way. Even if you have NEVER done a webinar before, even if you don’t have a product or a list, you can make webinars work for you. 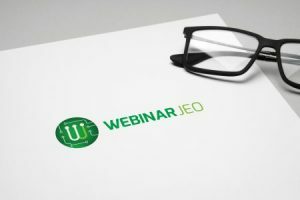 You can learn more about this new webinar platform, Webinar JEO, and get started right now. See it now. Click the Webinar JEO advertising link below.